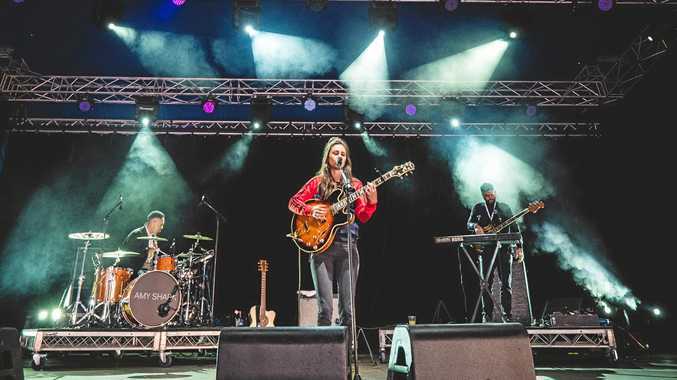 AWARD-winning Queensland singer- songwriter Amy Shark is often asked by industry colleagues and companions - hailing from the savvy glamour of LA and other American music and talent hotspots - where they should visit when they come to Australia. Ms Shark, who won her first two ARIA trophies last year and has been nominated in nine categories this year, said many were planning holidays on the Gold Coast, where she was raised. "And I say, 'You need to head out west and get your real Aussie experience', and everyone I've said that to, they have gone and done it,” she said. Ms Shark, who treasures a trip out west herself, has this week been announced as a headlining act at next year's Winton's Way Out West festival, after the success of last year's inaugural event and the grand reopening of the iconic Waltzing Matilda Centre. Winton's Way Out West festival last year saw the population of the town swell to nearly 10 times its usual number, with more than 6500 people from across Australia making the outback journey. Ms Shark said this would be her first visit to Winton. She is passionate about the theme of the 2019 festival which is to raise awareness about the drought and to support our farmers and rural towns. "I'm really looking forward to it. "The crowds that come to regional festivals are so enthusiastic - they're not spoilt for choice. "This is a big deal and it looks like it's going to be a lot of fun. Ms Shark said her parents lived in the country west of Boonah in the south-east of the state, and she wanted farmers to know that "everyone is thinking of them right now”. Ms Shark, who released her debut album Love Monster in July, has been nominated for nine ARIA Awards this year, including Album of the Year, Best Female Artist, Best Pop Release, and publicly voted categories for Song of the Year and Best Video for her two-times platinum single 'I Said Hi', with winners to be announced on November 28. 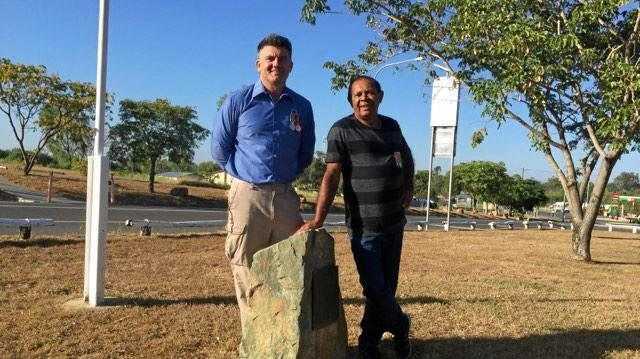 However, while her popularity continues to rise, she said the down-to-earth friendliness of Queensland's rural towns would always be a "real treat”. "I talk about it with my band and partner all the time, about how you know when you're in a small town because the service is so much better and they'll remember your order the next time. Way Out West 2019 will be held from April 25-28 and will incorporate an Anzac Day Dawn Service. Other performers will include US country stars Jon Pardi and Brett Eldredge, rockers San Cisco and Lime Cordiale and Aussie legends Ross Wilson (Daddy Cool), Glenn Shorrock (Little River Band) and John Schumann (Redgum) as well as Travis Collins, Shane Nicholson, Chad Morgan and return guest John Williamson. The event will also raise funds across the festival for drought relief.